1. Beat the sugar, vanilla sugar and eggs in a bowl, until it gets really creamy. Do this for 10 minutes. Add the flour and baking powder. Pour the mix in a greased cake tin and put the tin in the oven for 30 minutes (180 degrees). 2. Beat the whipped cream with two tablespoons of sugar and also add two tablespoons of coconut flakes. Put the cream in the fridge to keep it cool. Melt the white cholate spread (au bain marie). When the cake is baked (use a toothpick to insert the center to check if it comes out clean), turn the cake out onto cooling racks to cool. 3. Cut the cake in two or three layers. Spread the the first layer first with the melted white chocholate, then the whipped cream. Put the second layer on top and keep spreading. 4. When the layers are covered, spread the whole surface of the cake with the melted white chocolate. 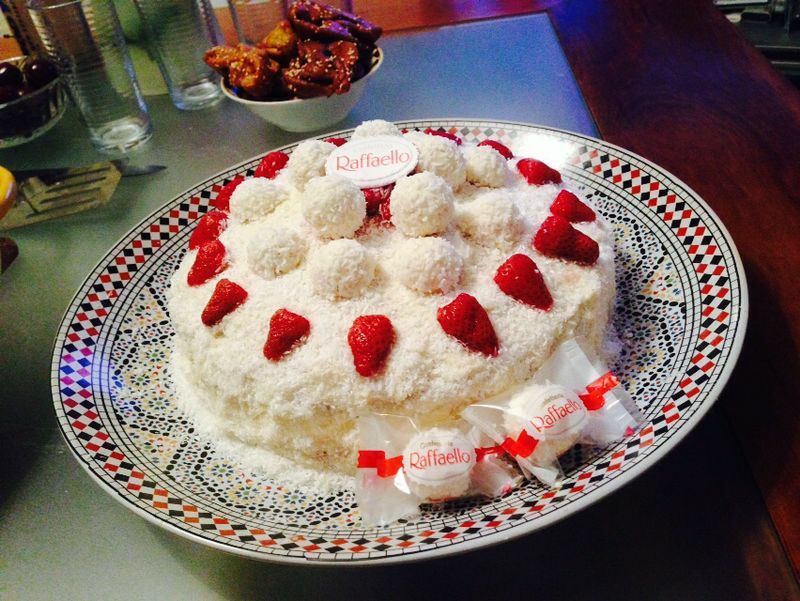 Add the coconut flakes on the cake. 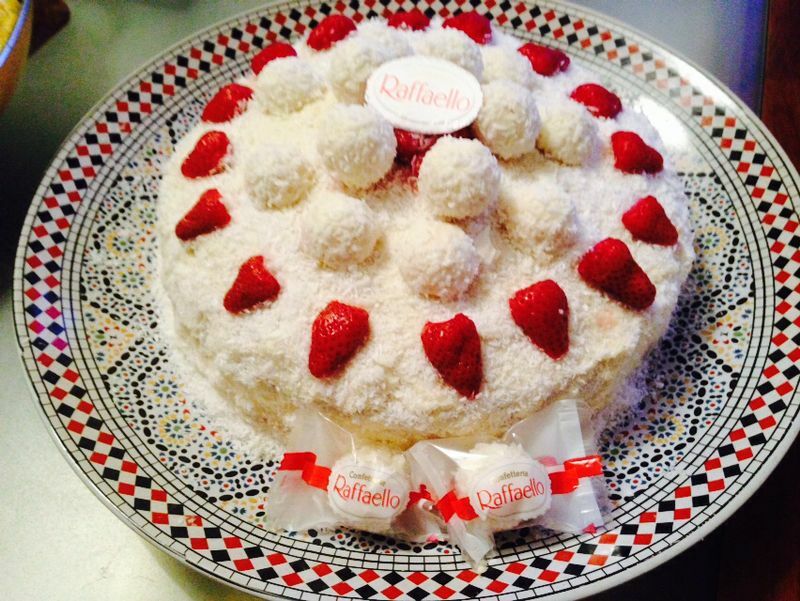 Decorate your cake with the Raffaello choclates and strawberries.